Thanksgiving has always been my favorite holiday. Solely about gathering together and appreciating each other and our blessings, much of the stress of gift-giving holidays isn't present. It is also traditionally non-religious, allowing all walks-of-life to join in a delicious meal together without someone feeling excluded. This year I'm attempting to incorporate a new tradition with my family - a list. 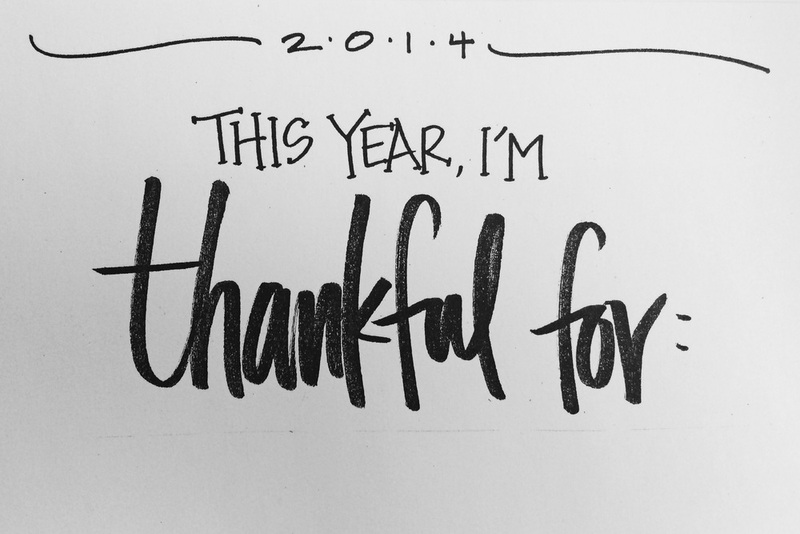 A simple list of what each individual is thankful for this particular year. A tad hokey, I'm hoping it provides for some thoughtfulness and maybe also some humor.